An AOR pitch for a midwestern health care system. 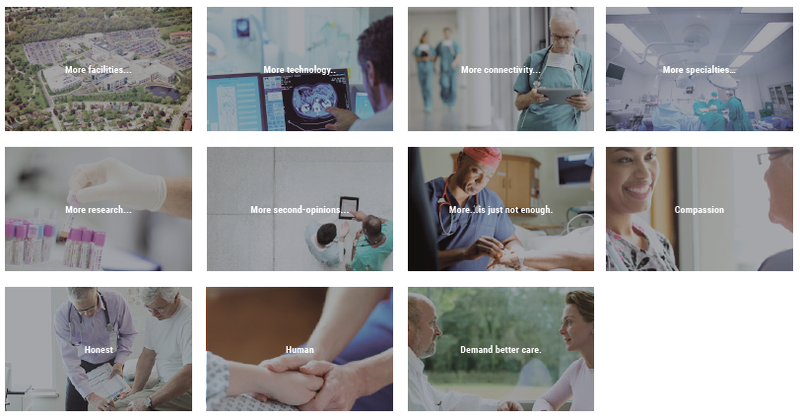 Our idea: other hospitals lean on technology, facilities or services, but we focus on the piece that really matters: the person. Our platform became a rallying cry for passionate, honest, devoted care from real people - not systems.